« THR 249: Facebook Home and Search – Will friends conquer algorithms? Newspapers: Let’s start with newspapers. My dad loves newspapers, he reads one every day. I like newspapers, but only read them when I’m home visiting my parents, or as I’m walking by a deli. But no one younger than me has bought a newspaper in the past 5 years! The NY Times, The Wall Street Journal, The Washington Post, and maybe the leading newspaper in a bunch of the major cities will stick around for awhile. The rest? I think they’re gone. Network TV: To me the sheer amount of TERRIBLE TV is ridiculous. In the 80s and 90s we jumped to 100s of channels, but of course the quality couldn’t keep up. That means there are hundreds of choices for me to watch on any given night, but the number of quality shows that I deem worth of my DVR is less than half a dozen. And at least I WATCH some TV… there’s an ever-growing list of people that don’t even OWN a TV. So highly-produced cable shows like Breaking Bad, Mad Men and several gems on HBO and Showtime? Sure, they’ll be around. But traditional sitcoms like Two & a Half Men? To me they’re unwatchable. Even ones that people seem to like such as Big Bang Theory, Modern Family, and How I Met Your Mother? Not for me… too clichéd, too formulaic, too lame. I’m going to stop here. 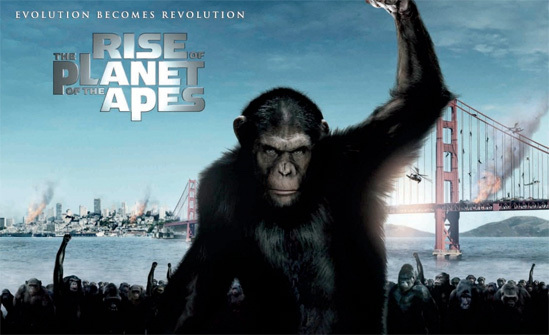 Hollywood Movies: While we’re on the subject, how about movies. I still think there are a few great movies being made. I think the movie-going experience is still pretty decent. Four adaptations of comic books. One prequel to an adaptation of a comic book. One sequel to a sequel to a movie based on a toy. One sequel to a sequel to a sequel to a movie based on an amusement-park ride. One prequel to a remake. One sequel to a comedy. An adaptation of a children’s book. An adaptation of a Saturday-morning cartoon. One sequel with a 4 in the title. Two sequels with a 5 in the title. One sequel that, if it were inclined to use numbers, would have to have a 7 1/2 in the title. OK, they were: 1. Captain America, Cowboys & Aliens, Green Lantern, and Thor; X-Men: First Class; Transformers 3; Pirates of the Caribbean: On Stranger Tides; Rise of the Apes; Cars 2 and Kung Fu Panda 2; The Hangover Part II; Winnie the Pooh; The Smurfs in 3D; Spy Kids 4; Fast Five and Final Destination 5; Harry Potter and the Deathly Hallows Part 2. Google+: What’s there to say? This week I got an alert that my sister joined Google+. I asked her if she added me because I thought it might be spam. She said our brother added her and she clicked something, but wasn’t sure what Google+ was. Bottom line: there’s a very very good chance no one in your family uses Google+, and if they are, they don’t know how they got there. Land lines: I just wanted another chance to scream at the Time Warner Triple play operator: NO ONE WANTS YOUR PHONE SERVICE!!! We all have cell phones! All of us! Even teens and toddlers! Some have had them as their only phone since 1999. Microsoft: This is a tough call. They seems to have lost the war in browsers, search, music players, operating systems, tablets, and phones. They’ve done well with Xbox and enterprise level stuff. I was out in Seattle and have friends that work at Microsoft. They seem to think it’s a lot more of the same. The culture hasn’t changed. Two things that might save them? 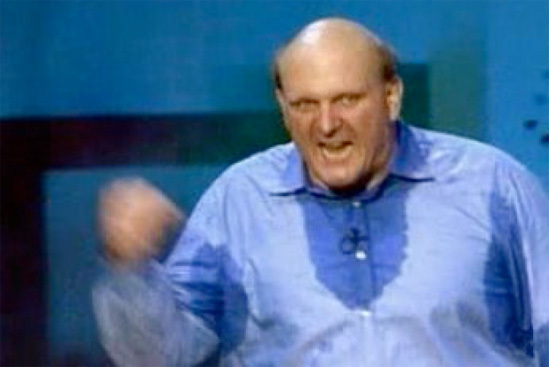 If they can come up with a disruptive, forward-thinking, sweaty Steve Ballmer replacement, and $77 BILLION in cash. 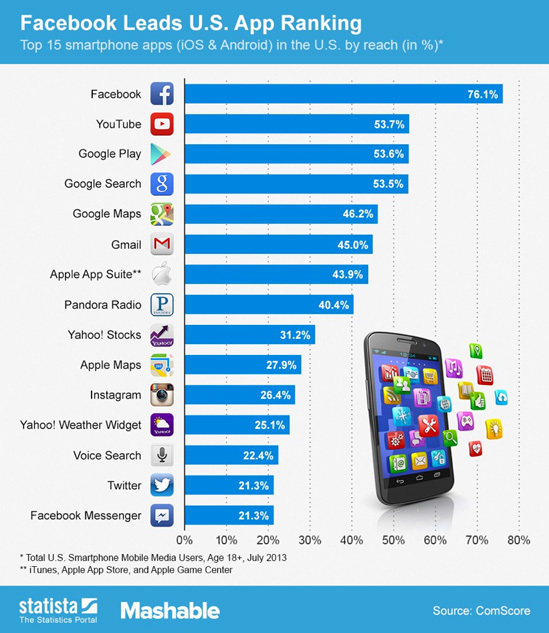 Apps: Remember the boom times for apps? When any smart developer that learned how to code in iOS had the dream of making an app, throwing it in the iTunes store for 99 cents, and watching money roll in as it went viral? Those times are over. Sure you can still make an app, but can you design a good one that people can use? Right now it seems the only successful apps are being made by huge brands. Think about what you use on a regular basis. Now think about the ones that are NOT made by Facebook, Google, or Rovio. That eliminates Facebook, Instagram, Google Maps, Google Play, Google Search, Gmail, Gchat, YouTube, and Angry Birds. I think the mobile experience might evolve significantly in the next few years, away from apps. Podcasts: C’mon… where did you think I’d land on this one? Pretty straightforward… it doesn’t feel like podcasting is finally going to take off like a crazy startup and have mass adoption, yet new content is being created all the time – just heard of a guy that has done a podcast every day for 300 days – and downloads have to become easier on mobile and in cars, I think they’ll stick around. 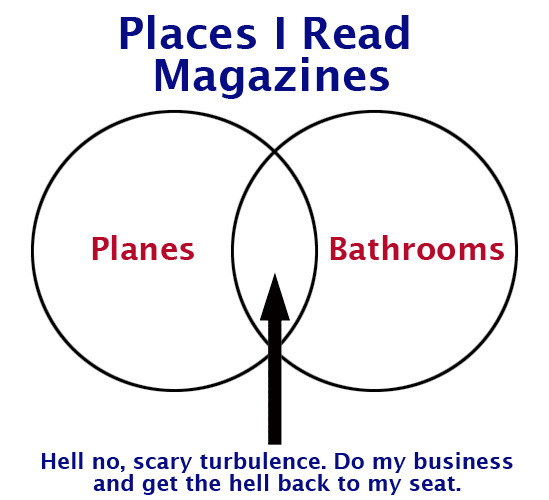 Magazines: I honestly feel that people will still like reading long form content with gorgeous photos on glossy paper, and hey, they still dominate two market segments in my life: airplanes and bathrooms (but not airplane bathrooms). Facebook / Twitter / LinkedIn: It’s certainly possible that any of these three could pull a Friendster-style meltdown in the next 5 years, but their sheer size and usability make me think they’ll be around for awhile. I find it hard that another business source will come along to trump LinkedIn, and Twitter seems to remain useful. If anything, I’d bet against Facebook. Laptops: Many people predict the demise of the personal computer, with humankind eventually all moving to a tablet or phone. I’m not buying it. I still hold up my Macbook Air as one of the best pieces of technology I’ve ever owned (see my review), and people still need a full keyboard. Hell, some old school authors still use typewriters. I think laptops will be with us for some time. Lighter, faster, cheaper, but still with us. Tablets: Speaking of tablets, I think they’re stuck in the middle too. Could sales decline as phones evolve? Sure. Are there still new models to come that will innovate as the market matures? Yup. But I don’t see them disappearing, and I don’t see it going crazy. I think sales are steady as the late adopters come on board and people grab one as a 3rd device. Apple: With each iPhone launch, there’s incredible anticipation and then incredible letdown. People want some unbelievable new feature that will blow their minds every time out, and it’s not going to happen. My favorite diss at Apple was the Samsung commercial that mocked how they had moved the headphone jack to the bottom. On the flip side, I think fingerprint technology and crazy camera features are pretty neat. But here’s the thing… Apple is apple because of the features they leave out. They are a design company masked as a tech company. Call me a homer, but to me the iPhone just plain works. It does everything I want to do without me thinking about it. I can’t say that for some other technology in my life. YouTube: Video keeps growing and no startup will be able to match YouTube’s infrastructure and reach, but the ads are killing me! What about you? I think people are barely tolerating watching and ad or waiting to click Skip Ad. I know, waaaahh… I need to wait an entire 5 seconds to watch something for free. But something’s gotta change. Electric cars: I love the progress companies like Tesla are making, with incredible breakthroughs in terms of safety, miles per gallon, and style. 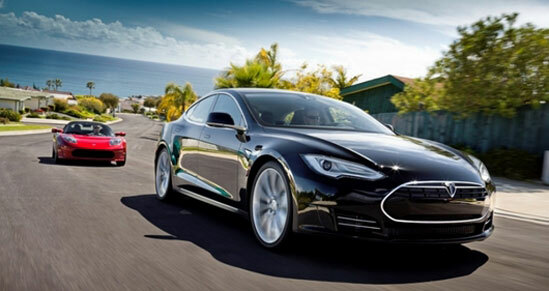 In May Consumer Reports called the Tesla Model S the best car it has ever tested. However, with over 250,000,000 registered cars on the road, I still think we’re still a LONG way off until electric cars become mainstream. Mobile: I don’t even have to share any stats, mobile is insane. We have our phones with us ALL THE TIME. It’s a computer in our pocket 24/7, not to mention a search engine, map, camera, TV, game, and 100 other things. If your business isn’t accounting for mobile, you’re an idiot. In fact, I think the one thing we can count on is the problems around this. Less genuine human interaction – we all have that one friend that can’t put down their phone. We don’t talk to each other in line anymore. We’re taking photos of incredible events instead of experience incredible events. Texting and driving is a massive problem. This might get worse before it gets better. Online learning: As you might know, I’ve hitched my horse to this platform with my salary negotiation courses, and the signs are looking very positive. I’ve amassed more than 5,000 students in 5 ½ months for my free Negotiation Mindset course, and closing in on 500 for my paid How To Get a Raise course. It’s providing me with a healthy side income, and I’m barely scratching the surface in terms of marketing and partnerships. I think its going to grow in terms of opportunities for both teachers and students. Frictionless, sharing economy: I love how the internet and mobile have combined to make routine things easier. You can hail and pay for a cab with Uber without touching your wallet or making a phone call. You can use Square to streamline the checkout process. I can rent out my apartment, find a Taskrabbit to run chores, hire a virtual assistant across the world, and order my favorite takeout in 30 seconds without making a call or entering my credit card information. Video: Good video is still pretty hard to create. The jump from iPhone movie to good lighting, sound, and acting is still quite a leap for the majority of the new media world, but an entire generation is growing up with these tools, and they’re only going to get easier. At least once a month I curse the fact that I didn’t have an HD cam and Final Cut Pro 20 years ago when I was creating stupid skits in my basement with my buddy. Amazon: In Jeff Bezos I trust. If a genie appeared and shut down every single ecommerce site on the planet except for Amazon.com , I’m not sure how many people would notice. Wearable tech: (Google Glass, Nike+, Kapture, Watch) It’s new, and it’s still really dorky. Google Glass, the Kapture wristband, GoPro cameras, pebble watches, and the leading wearable tech/fitness gadgets that measure steps you take, calories you burn, hours you sleep, images you see, and conversations you have are still taking their first baby steps. But they’ll evolve quickly, with a massive wave of fear and disruption over privacy. 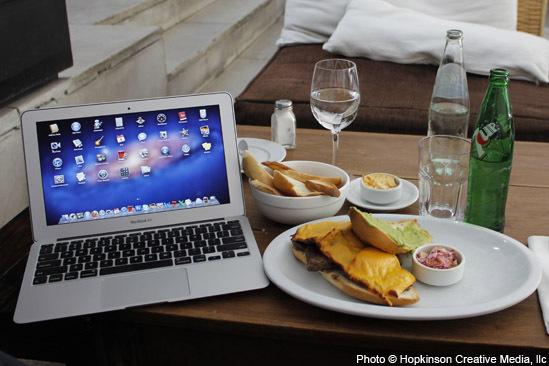 Freelancing: Today I had lunch with someone that is following the script. 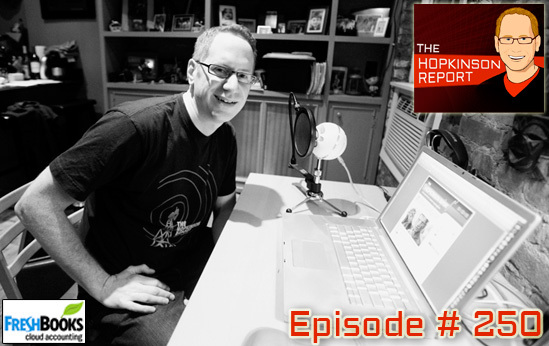 He has worked for a major brand for the past several years, but also started building iPhone apps on the side a few years ago and testing out another business. Now the big company is too big and he is frustrated at work, and at the same time twins arrived at home. His plan is to find a job he contract 3 days a week, while using the other 2 to continue his own business. Tomorrow I am going to a party for a friend that did the same. She was a designer in a dying industry and almost made the leap last year, but couldn’t quite do it. So she got a new job – her final corporate job — saved like crazy, and last week, gave her notice in order to become a full time freelancer. Or take the case of Pat Flynn of Smart Passive Income, an architect that got laid off and started his own business, including a blog and podcast. I’ve talked about Pat before because I credit his ebook with helping me get a book deal. If your mind was blown that he was consistently making $40-$60,000 a month in passive income over the last 2 years, well hold onto your hats. He grossed $116,000 in July 2013. And on October 1 I’ll co-host my 3rd Reboot Workshop Conference in New York, helping people just like them to Live Outside the 9 to 5. If you’re in the city, I hope you’ll join me or spread the word. It’s been 22 ½ months for me on my own, and I can honestly say I’ve felt comfortable for the last 9 months. In fact, it’s all a bit surreal. Oh sure it’s hard work and I’m hustling every day, but I wouldn’t have it any other way. More people are not only going to want this… they’re going to demand it. Trends will come and trends will go. 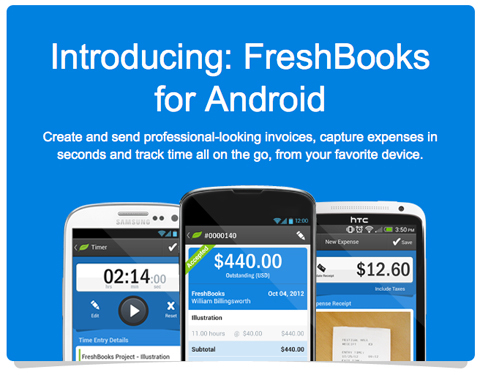 Today we have Freshbooks for Android and Freshbooks for iPhone and my guess is it will be on whatever platform people flock to. But at its core, we’re talking accounting for your business, and that is never going away. Why not make it simple? This entry was posted on Saturday, September 14th, 2013 at 7:23 pm and is filed under Apple, Branding / Advertising, Facebook, iPhone, Job Search / Interviewing, Microsoft, New York City, Pop Culture / Entertainment, Reboot Nation/Workshop/Conference, Social Networking / New Media, Twitter, Workplace Trends. You can follow any responses to this entry through the RSS 2.0 feed. Both comments and pings are currently closed.